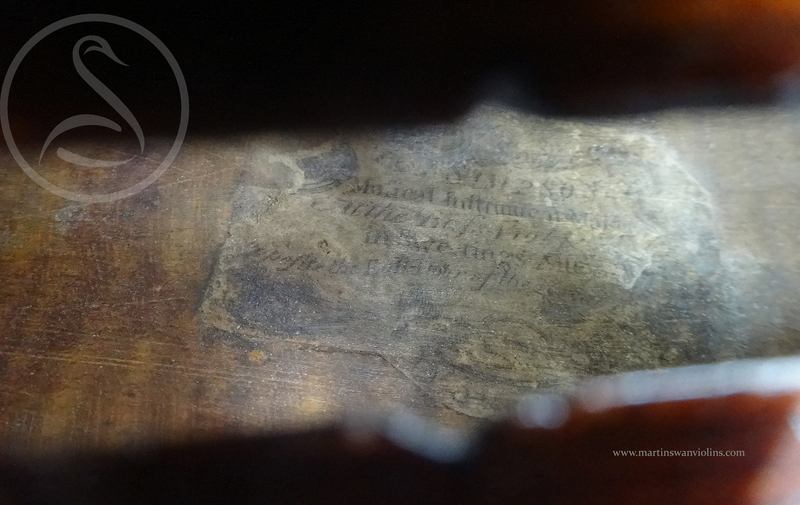 A very fine late 18th century small viola bearing the J&J Simpson label, with a full and rich viola sound. 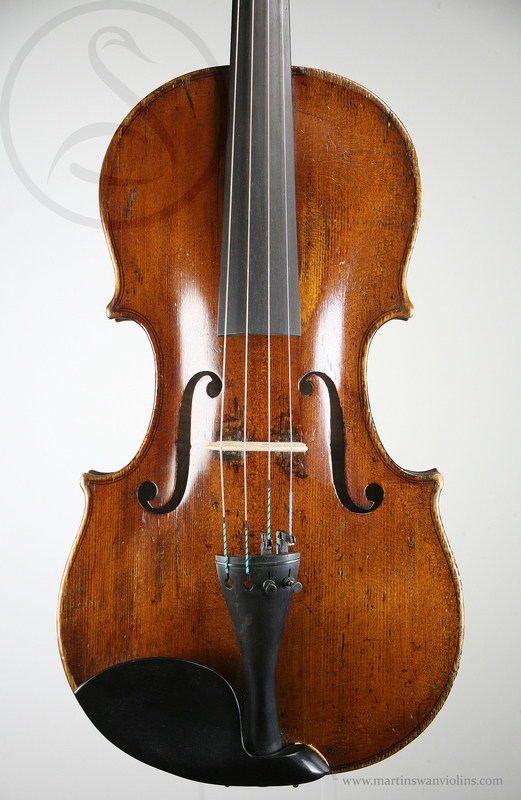 There is some question as to whether James & John Simpson were actually makers or merely merchants, but the essential style of this viola is typical of London makers at the time, and it could pass for Duke or Joseph Hill in the right light. 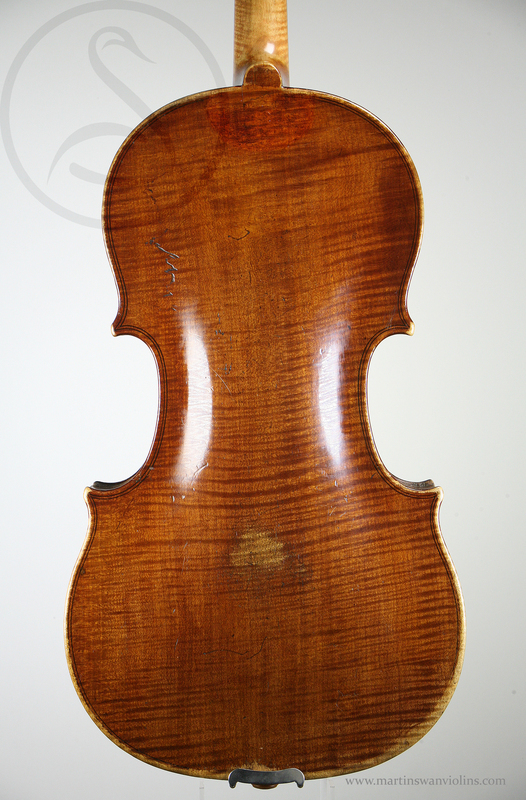 The purfling is inked to front and back, the aching typically full in the centre with a heavy recurve, the varnish a classic chestnut brown. 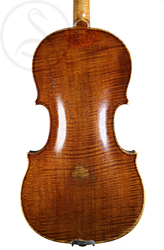 The one-piece back with its narow figure is also very characteristic of the period. The condition is generally good – no issues with the back other than a spot of retouch around the button, the ribs with one tear presumably from an over-tight chinrest, the scroll very well preserved. 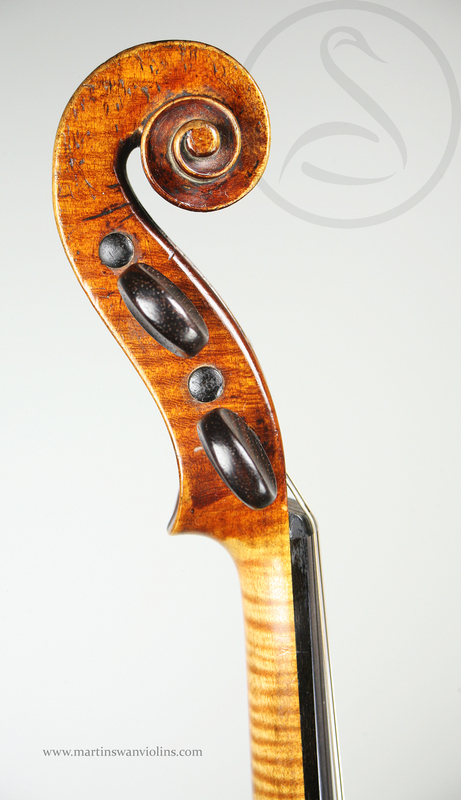 There are a few neatly repaired cracks to the table, notably below the bass f-hole, but nothing that draws the eye. This viola has quite a sumptuous sound – warm and noble, with that precious quality of being in the room rather than inside the instrument. It has a very lyrical voice, a rich alto with a distinct shimmer, and you can really manipulate the tone and make magic pretty much everywhere in the register. 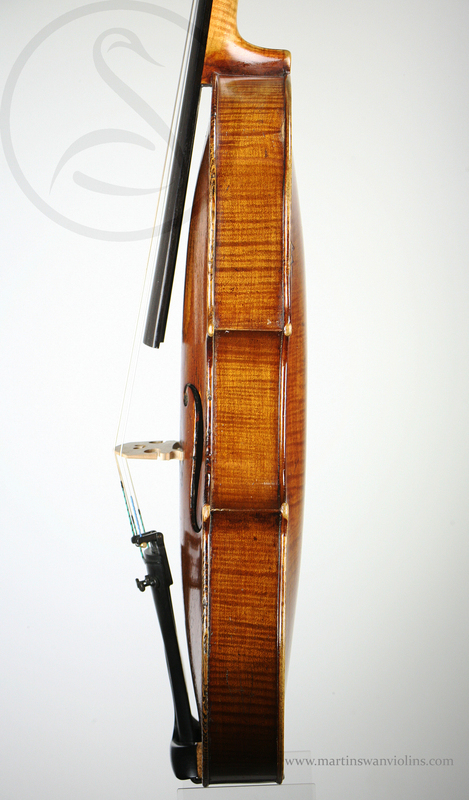 It’s also powerful, and it would be a great choice for a budding soloist. It’s quite rare to find this kind of beauty of tone along with a good deal of muscle. 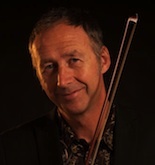 Interested in this James & John Simpson Viola?